With so many historic firsts in the midterm election, our future looks very bright. 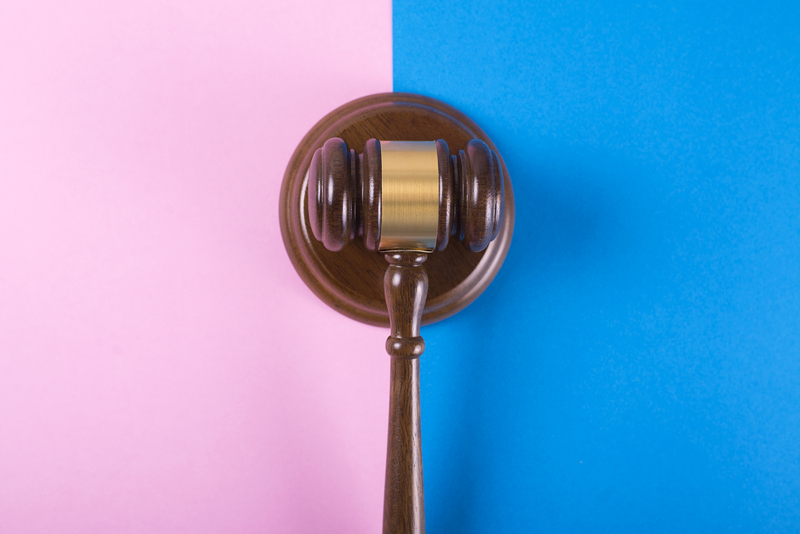 Judge gavel or auction on pink and blue background. Justice and auction. After the midterm election was won by women of color with so many historic “firsts”— the first Muslim women elected to Congress (Rashida Tlaib and Ilhan Omar), the first African-American women elected in two states (Ayanna Pressley and Jahana Hayes), the first Native American women (Sharice Davids and Debra Haaland) and the youngest woman ever to enter Congress (Alexandria Ocasio-Cortez) — our president was not in a good mood, especially when it came to journalists who happened also to be women of color trying to do their jobs. “That is such a racist question,” he shot back refusing to answer. That’s my job, and I am up for it. News organizations are also standing up for their reporters. CNN released a statement defending Abby Philip, saying that her question about Mueller’s Russia probe was “the most pertinent question of the day” and colleagues took to Twitter to show their support, as well. Alexandria Ocasio-Cortez’s (AOC) Instagram is like nothing Washington has seen before and young women are loving it. Back in July, I spoke with Aimee Allison, director of Democracy in Color and organizer of the She the People conference in San Francisco. We talked about the number of women of color running for office. One of the things she highlighted was their unapologetic authenticity. “What Stacey Abrams said was ‘I’m a Black woman and I’m leaning deeply into my base. I’m not going to try to be something that I’m not. I’m going to stand very proudly in who I am,'” Aimee explained. This was something we observed over and over throughout the campaign. Women were being themselves and running for office. Well, now we’re seeing women being themselves in office — and it’s a powerful, wonderful thing. The New “Year of the Woman”?